The consequences of severe weather will have both short term and long term impact across the Country and can often be fatal as we have seen over recent years with tsunamis and hurricanes around the world. In an earlier article I wrote of the impact on data centres of Hurricane Sandy, with lessons to be learned about where to locate critical systems. Here in the UK we rarely experience extreme weather, yet currently find ourselves in the middle of widespread chaos with over a hundred flood warnings across the country, and parts of Somerset have been totally underwater and cut off since the middle of last December.. The incessant rain over the last two months has been a series of rain and wind storms, one right after the other. And the cumulative effect of these events is as you would expect from an extreme weather event. Much disaster recovery planning is based on a response to a specific event. Even with the UK being known to experience both drought and significant rainfall, no one could predict this series of events. For those who like to use odds these would have been stratospheric. Current events have caught pretty much everyone – especially government agencies – by surprise. Most Locals living in Somerset knew this was on the cards, raised the alarm, but no-one listened. The truth of the matter is that most of the disasters experienced by businesses are a series of events, rather than one single catastrophic event, and are completely unpredictable. Nassim Nicholas Taleb describes these as black swan events. 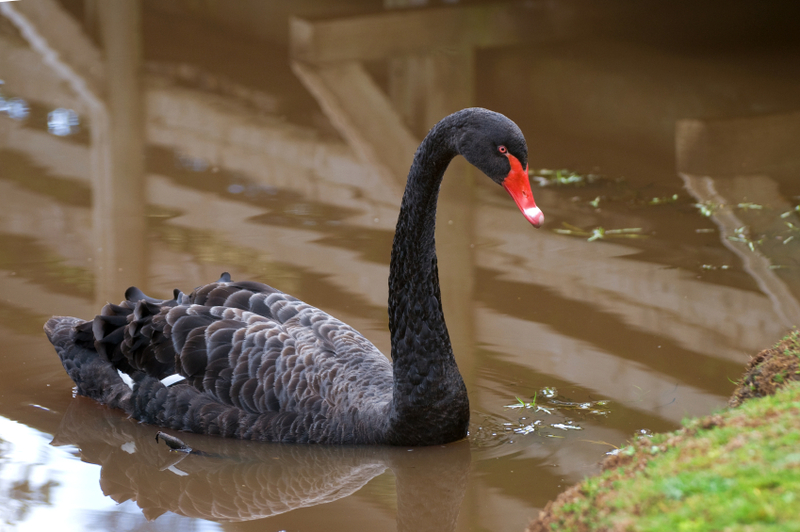 Before black swans had been seen by man, it was presumed they could not exist. Their discovery completely overturned the presumption that all swans were white. Taleb’s advice is not to try to predict black swan events, but instead to build robustness against negative events. He believes that use of the normal distribution model to calculate risk is not the way to go because it assumes all will fall within the parameters of normal, i.e. it does not include hazardous unexpected events, the “unknown unknowns”. In terms of operational risk management, I agree with Taleb. Our advice to clients is to not focus on what the potential events might be that could cause failure, although you do need to understand what they are and be able to respond on the basis that, for the most part, single events can be recognised and responded to effectively. The prime focus should be on what buildings, facilities, systems and equipment the business is dependent on. This concentrates the focus on predictable and known sets of events with various degrees of impact severity. The degree of dependency, the permutations and impact of multiple cascading events are almost endless but within sensible boundaries can be managed to greater or lesser extent. You may find that there are a large number of events that one or two responses will cope with adequately or you may find that if the problem cannot be contained, and some cannot, you move and escalate to the next solution. But at least you will not be caught unprepared. Whilst UK Prime Minister David Cameron might state that “money is no object”, that is unlikely to be the case for all and even he will not yet be aware of the boundaries he will be forced to impose.. In December, storms caused a black swan event at Gatwick Airport when electricity sub-stations flooded, resulting in the cancellation of many flights from the North Terminal in the run up to Christmas. Trees on lines resulted in trains being cancelled so people could not travel back home. The car parks filled up as more and more people arrived and the terminal filled up. Aircraft crew went over their permitted working hours. Switching flights to the South Terminal eased but did not resolve the situation. Passengers claimed no airport staff were available and police ended up manning information desks. A plan to manage a loss of electricity to the airport would enable them have a response and back-up systems ready to put into effect to minimise the impact. If you know what you are going to do if you lose power, it largely irrelevant what the cause of power loss was. Being able to put such a plan in place would have also reduced or removed the impact of the other factors, such as train line closures and exceeding working hour restrictions.